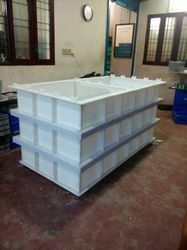 We are a leading Manufacturer of frp diesel storage tank, frp acid storage tanks, frp chemical storage tanks, frp sewage tanks, pp frp pickling tanks and frp water storage tank from Chennai, India. These diesel oil storage tanks are mostly used for diesel and oil storage and come in different capacities, shapes and sizes. These high quality products are designed & developed by using topmost quality raw materials as per the international industry standards. Our organization is delicately engaged in the business of manufacturing FRP Acid Storage Tanks. 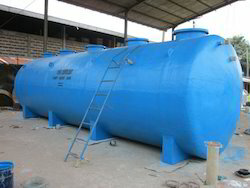 These tanks are manufactured using high grade raw material, which is sourced from the authentic vendors in the market. 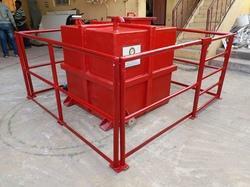 These FRP tanks are tested at different temperatures and concentrations under the supervision of expertise. 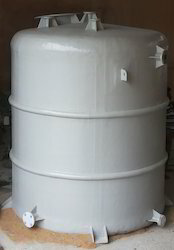 Our clients can avail these tanks from us at various sizes at industrial leading prices. We have been a pioneer in production of FRP Chemical Storage Tanks. Used extensively in the Chemical industries, these chemical corrosion properties are being inspected by our quality experts. We provide some of the best R&D facility in testing Raw material purchase. Different shapes sizes and color can be availed. Customized solution are also available. Our standard packaging and transportability has made the cost of item reasonable.After sales services include On-site assembly and maintenance. Owing to vast industrial experience, we deliver world-class range of FRP Sewage Tank that are strong in nature and are offered with fine inner lining. Our entire product range is crack-resistant in nature and is delivered in varied dimensions. They are thermostatically balanced and come with standardized solutions. We are a leading name, which is engaged in offering an unparalleled range of PP FRP Pickling Tanks The offered range is designed & developed utilizing premium grade raw material and advanced machinery in strict compliance with the industry laid norms and standards. Personnel hired by us ensure to check the entire range on different characteristics to ensure that defect free products are delivered at customers' premises. 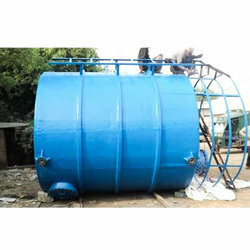 We are a leading name, which is engaged in offering an unparalleled range of FRP Water Storage Tank. The offered range is designed & developed utilizing premium grade raw material and advanced machinery in strict compliance with the industry laid norms and standards. Personnel hired by us ensure to check the entire range on different characteristics to ensure that defect free products are delivered at customers' premises.